21 Time AALBC.com Bestselling Book! Offering inspirational advice in a down-to-earth style, this unique compilation of letters provides wisdom, guidance, and heartfelt insight to help the reader chart their own path to success. Based on the author’s motivational speaking at inner-city schools across the country, the letters deal with the tough issues that face young people today. Bombarded with messages from music and the media, Harper set out to dispel the stereotypical image of success that young people receive today and instead emphasizes alternative views of what it truly means to be a successful male, such as educational and community achievements and self-respect. Intended to provide this frequently regarded “lost generation” of young men with words of encouragement and guidance, Harper’s deep-rooted passion regarding the plight of today’s youth drove him to write this book, sure to change the lives of readers for years to come. 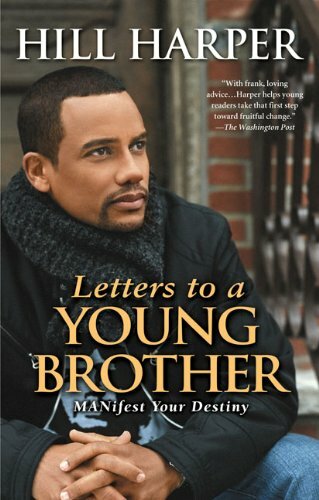 Tell us what do you think about Letters to a Young Brother: Manifest Your Destiny.